NuVet Plus is a synergistic combination of antioxidants, vitamins, and minerals known to boost immune system function. 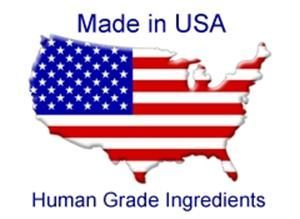 All of NuVet Labs’ ingredients are sourced in the United States, manufactured in a human-grade U.S. FDA registered pharmaceutical laboratory, and cold processed to maximize the potency of the nutrients. 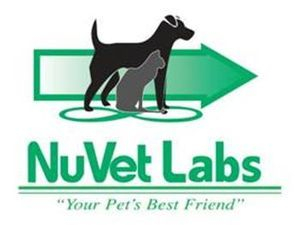 NuVet Labs has been in business since 1997 and has never had a product recall. 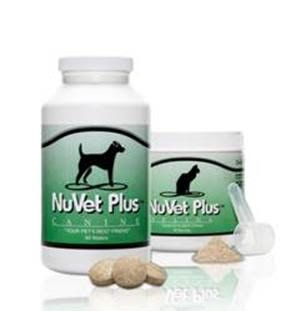 By including NuVet Plus® into your puppy’s daily diet, you can be confident that you are providing the nutrients required for optimal immune system performance. Additional information may be found on the NuVet Labs website www.nuvet.com. NuVet Plus immune system builder to all of my customers. Simply put, it is one of the best nutritional supplement available today. Hundreds of thousands of dogs and cats are using NuVet to protect against most ailments (from back yard pesticides, pet food allergies and hormones, toxic formaldehyde in furniture and carpeting, ailments transmitted from dog parks and the vet’s office, etc), while maintaining a beautiful skin and coat. Order Code: 96103, or ordering online at www.nuvet.com/96103. You can also save an additional 15% and assure you never run out of NuVet by choosing the “AutoShip” option at check out. To the long life and health of your puppy!